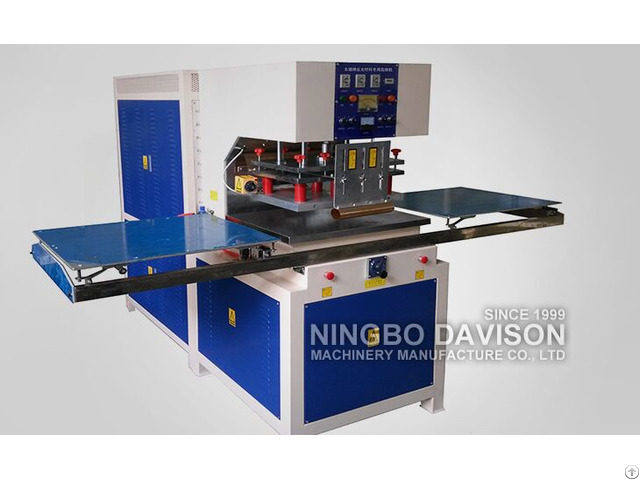 DXFZ series machine have 2 working stations, need mount 1 upper mould and 2 lower moulds, this makes the operators can run the machine high frequency welding alternatively .Machine can mounted with fast mould change device, save the mould change time and can get precise welding . 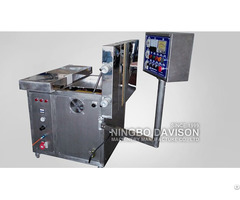 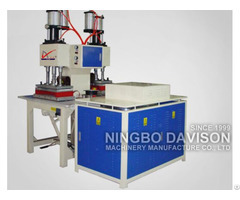 The electric box at the back makes the machine has high output and stable operation. 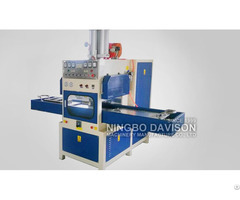 DXFZ series machine can build according to client’s product and can add other welding requests.